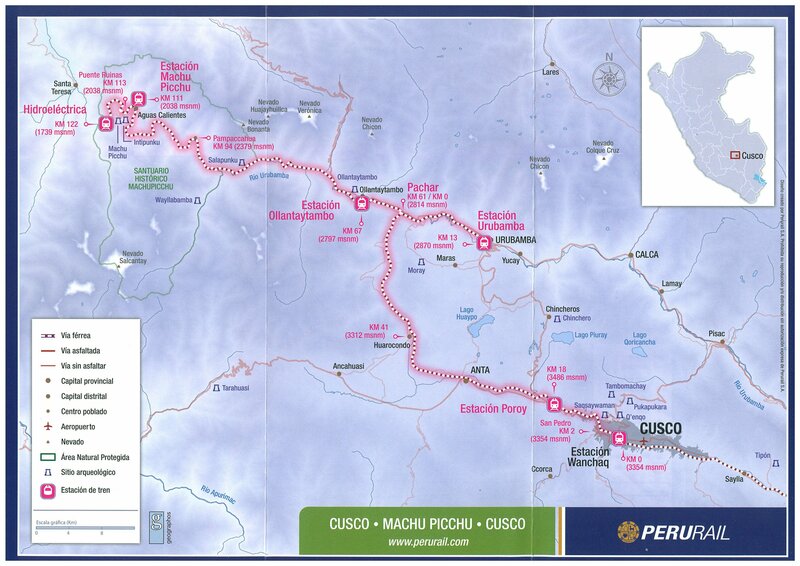 With Machu Picchu as its main attraction why else would you need an excuse to visit Peru? 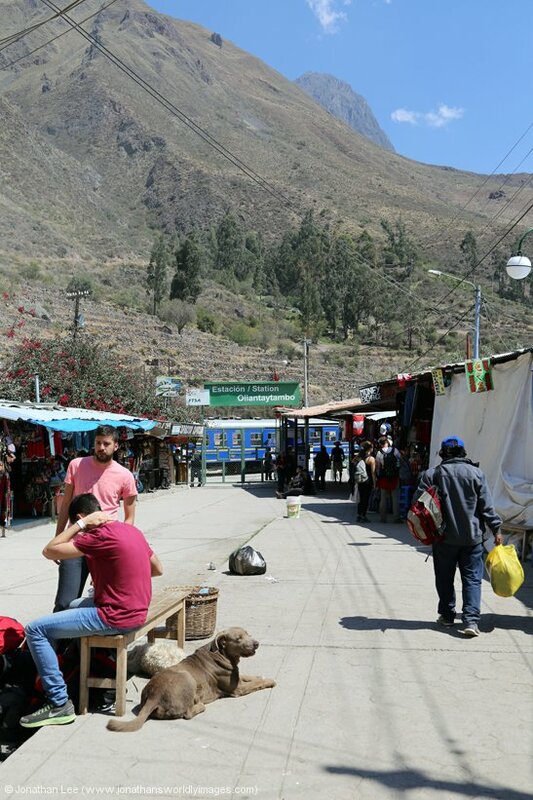 Of course there are a lot of other reasons, including the Nazca Lines, the Inca Trail and Lake Titicaca floating islands. 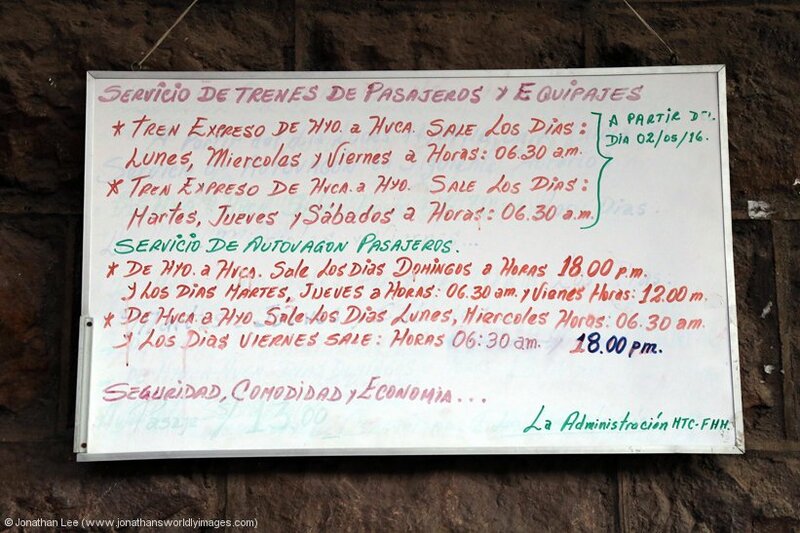 Plan well and plan in advance……. 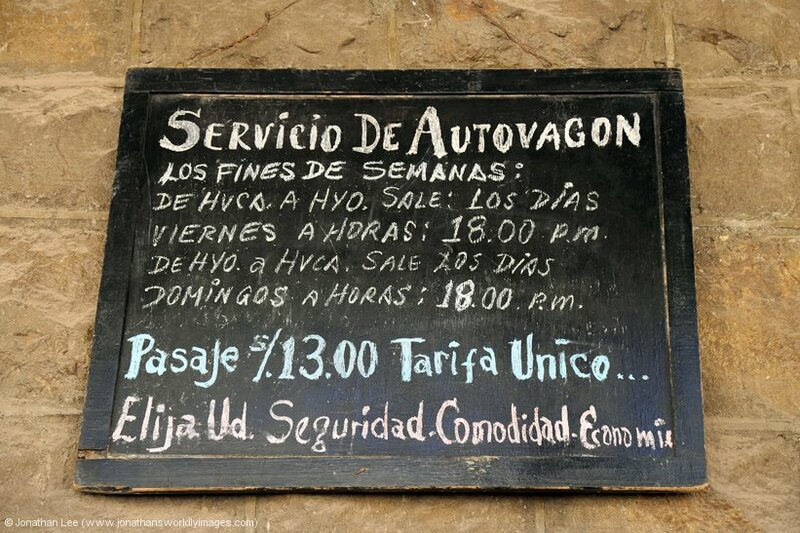 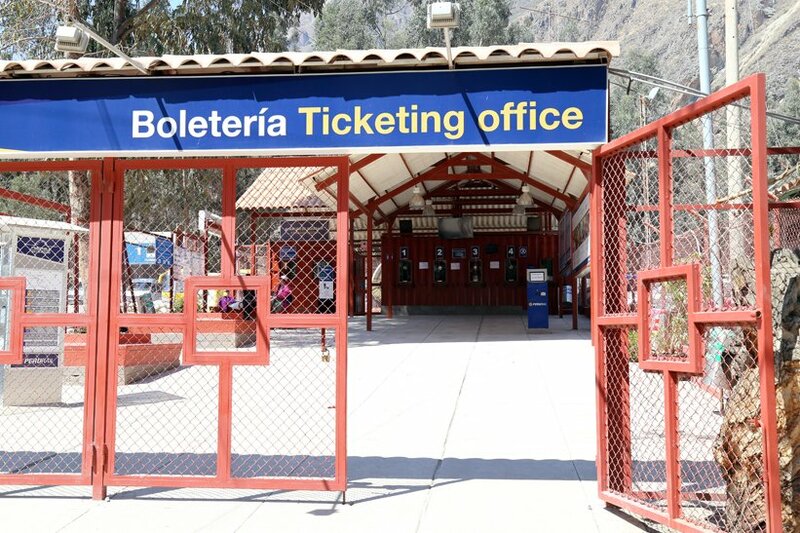 Peru Rail Tickets can be booked online or at Peru Rail ticket offices; including one in central Cusco. 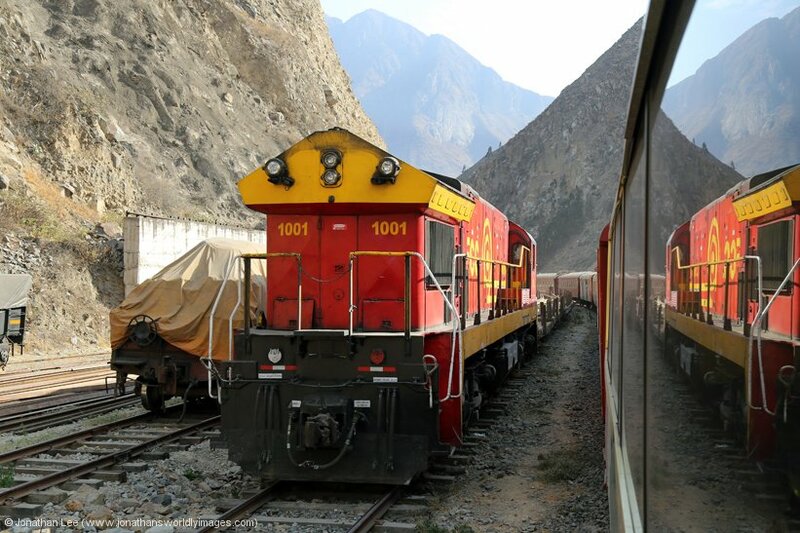 Peru Rail offers three classes of travel on its trains to Machu Picchu, Expedition, Vistadome & the Hiram Bingham; the latter is a Luxury Pullman service. 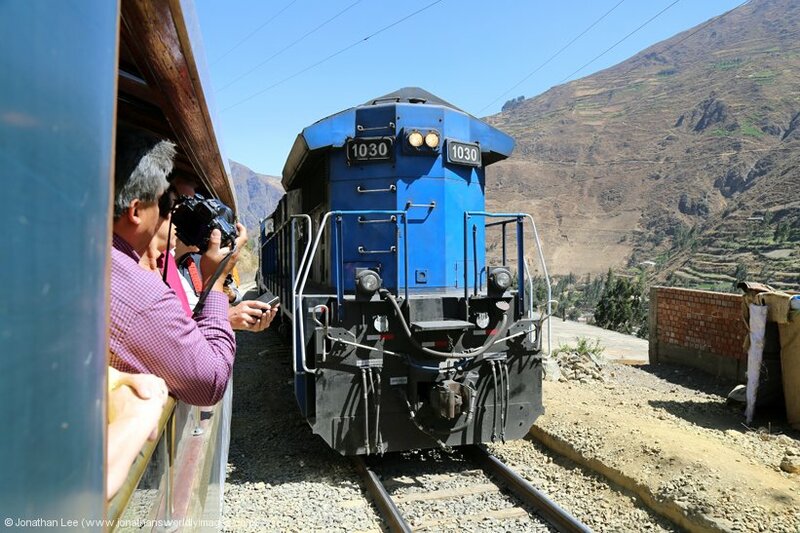 On board the Andean Explorer there is only one class and this train is also essentially a Luxury Pullman service. 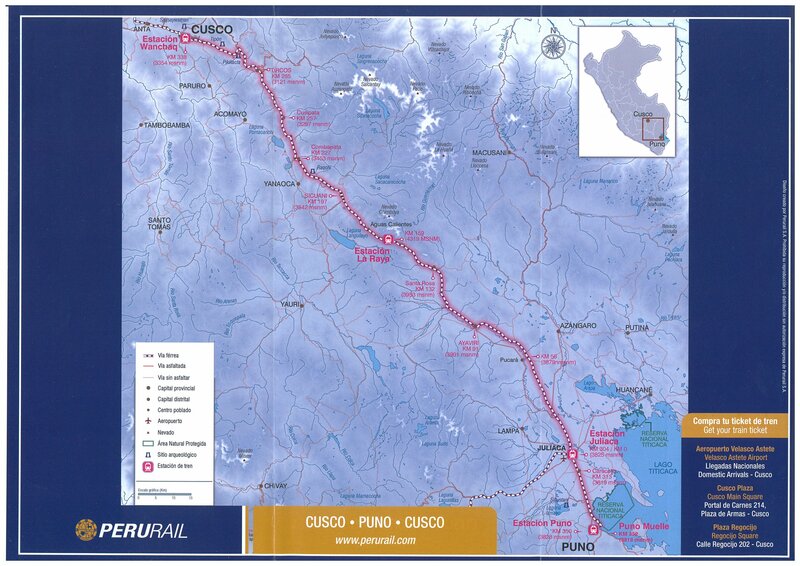 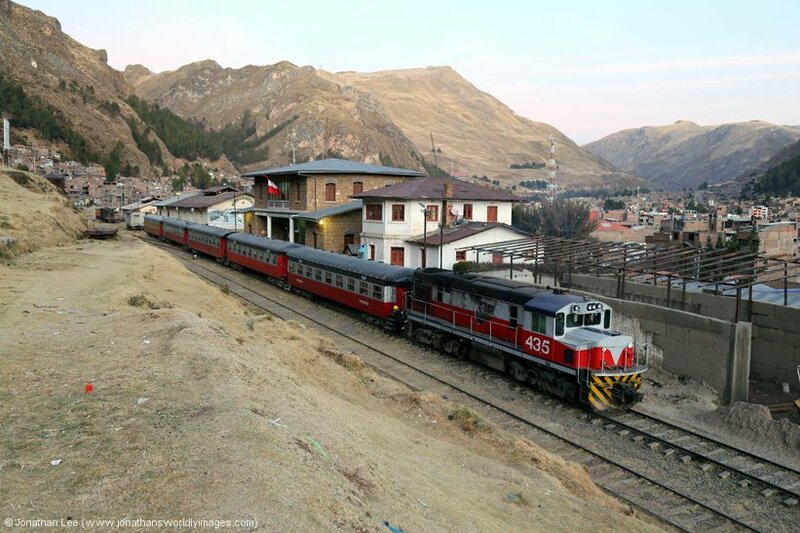 Peru Rail Timetables are available on their website and are updated throughout the year. 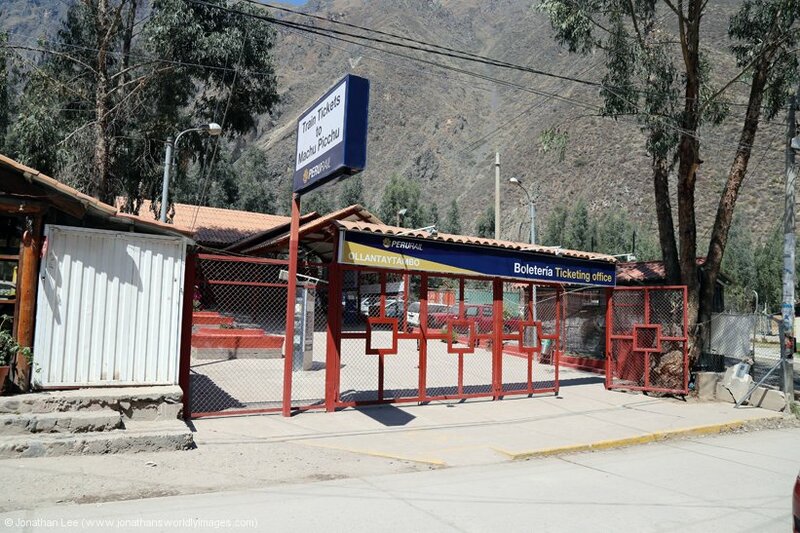 Generally from January to April trains start further down the valley towards Ollantaytambo due to maintenance work. 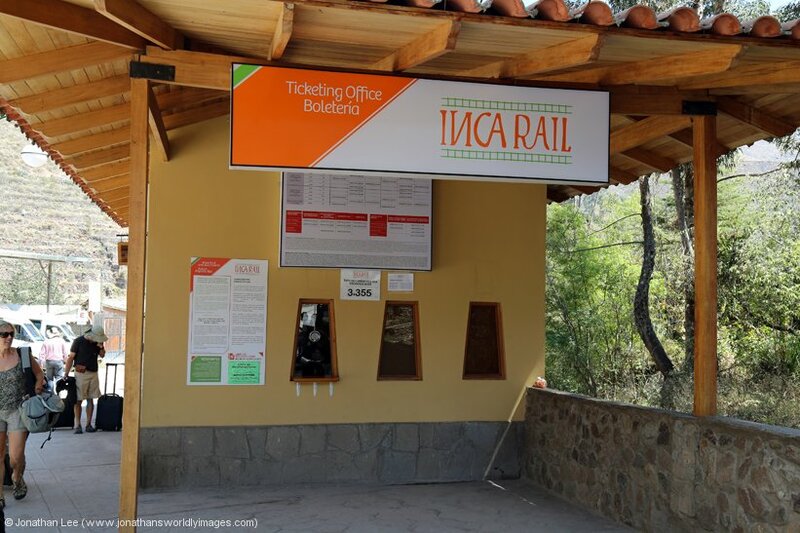 Inca Rail Tickets can be booked online. 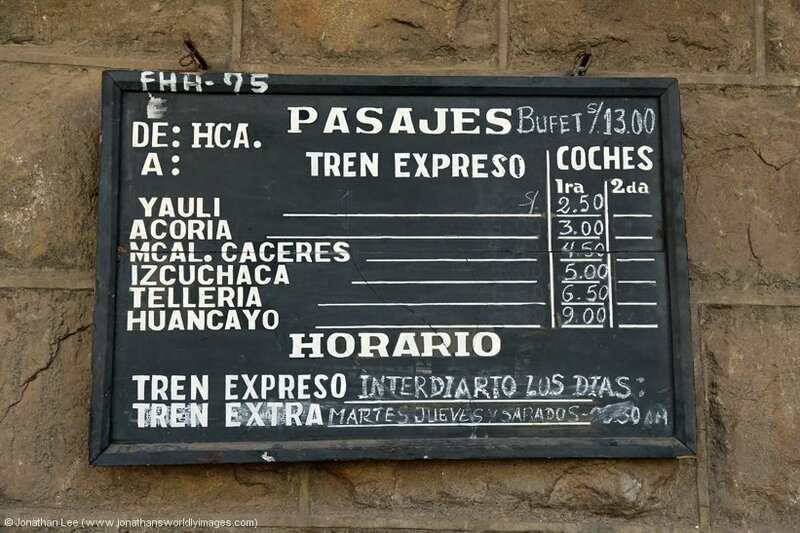 Inca Rail Timetables can be found on their website and trains operate every day of the year. 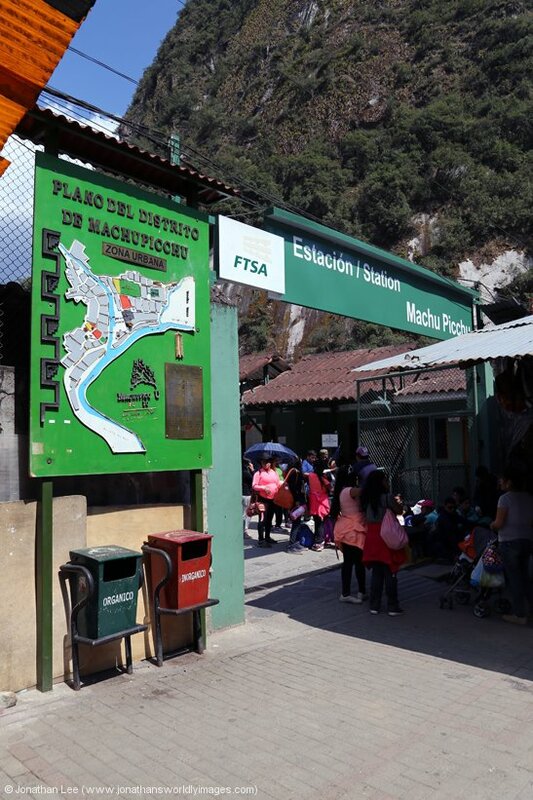 FCCA Tickets can be bought online using their website and printed at home before you travel. 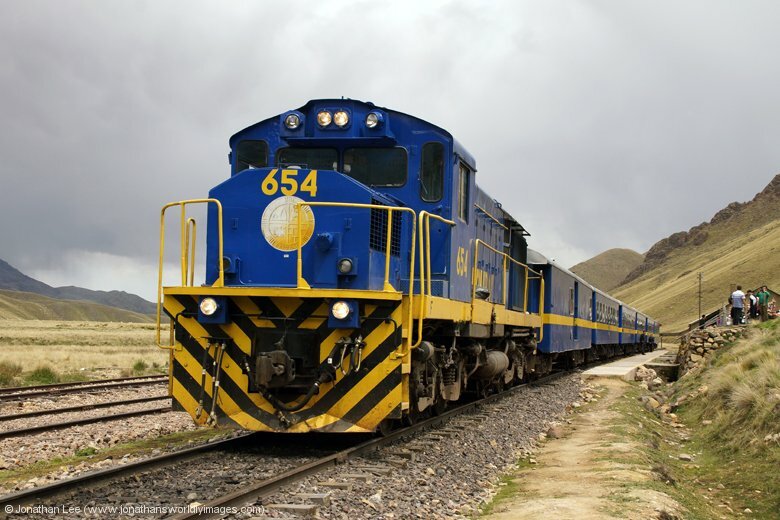 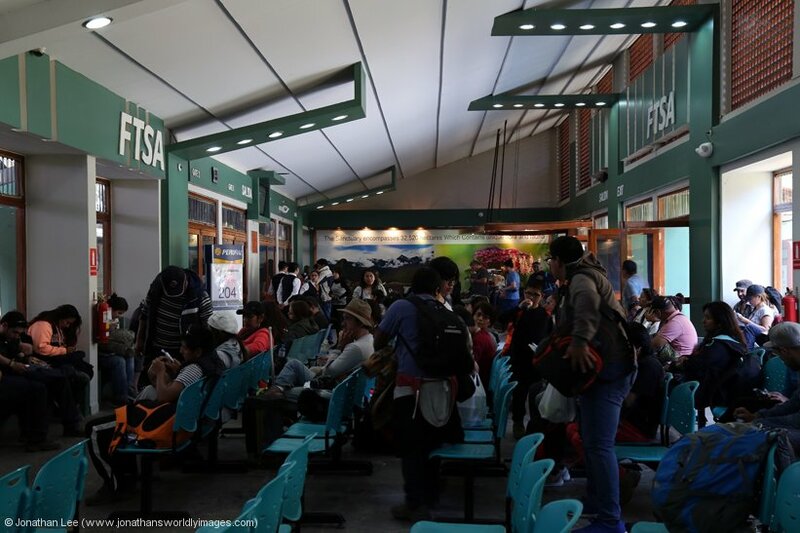 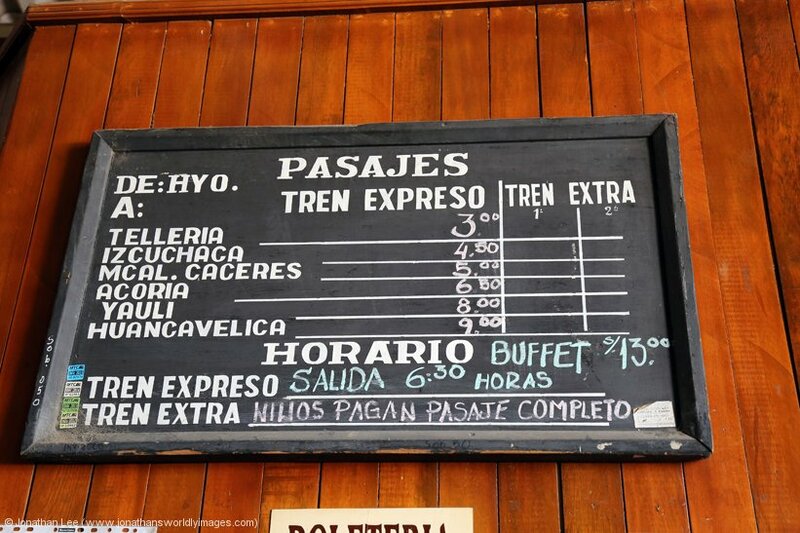 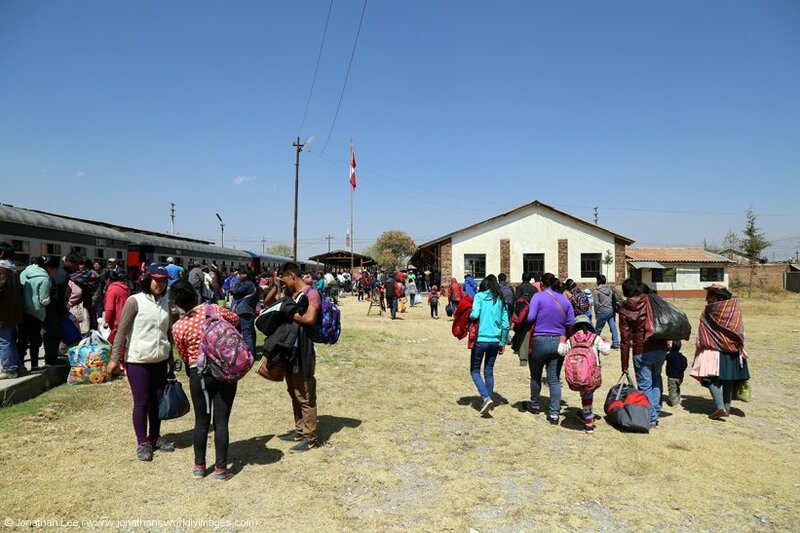 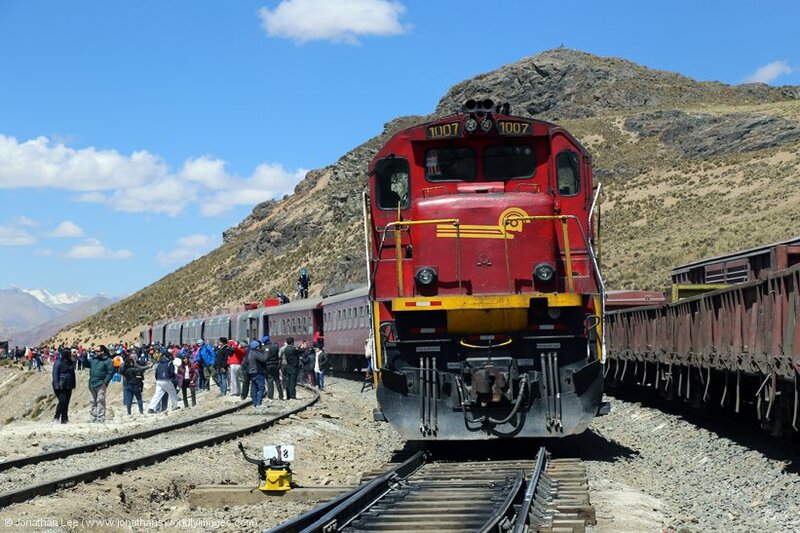 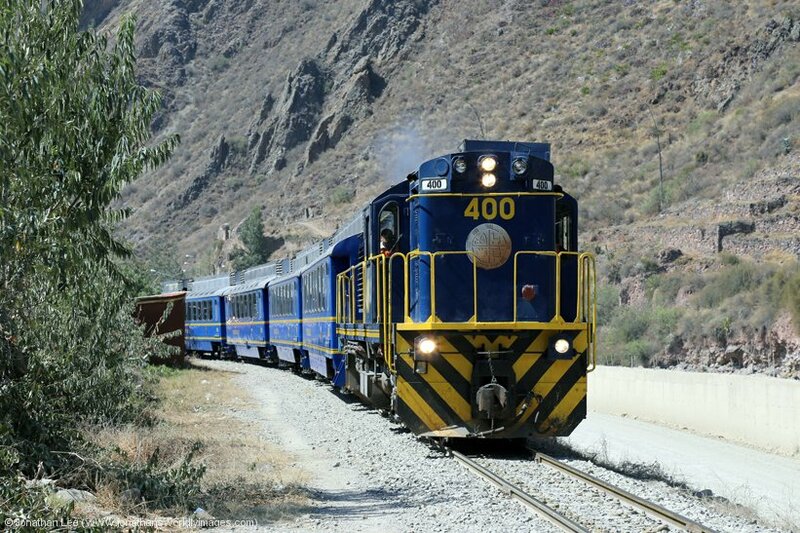 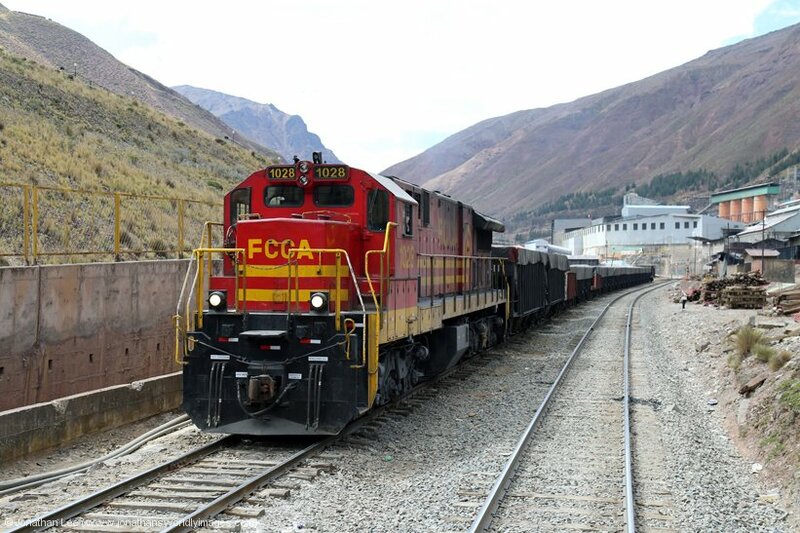 FCCA offers two classes of travel on board the Lima to Huancayo train, Classic and Touristic; the latter offers an inclusive drinks service as well as better seating. 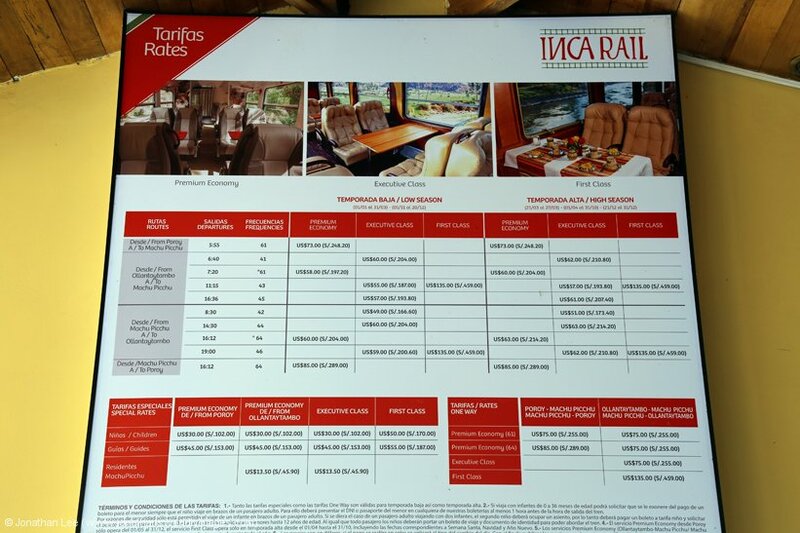 FCCA’s Dates of Operation can be found on the website along with the rates for each class of travel. 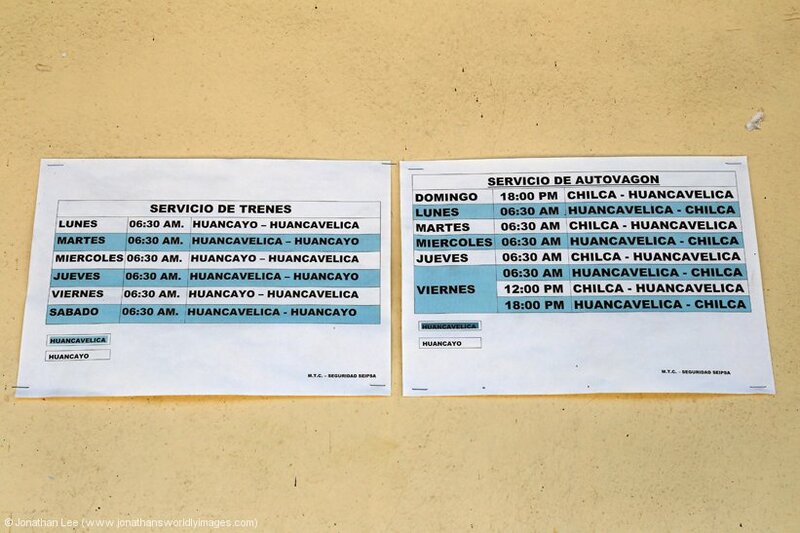 You get to pick your own seats as you go through the process. 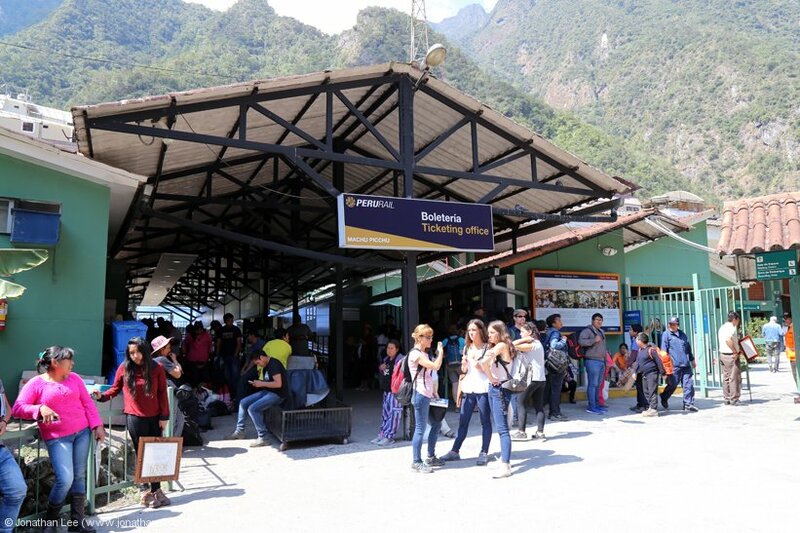 FCHH tickets are purchased from ticket offices prior to the departure of the train. 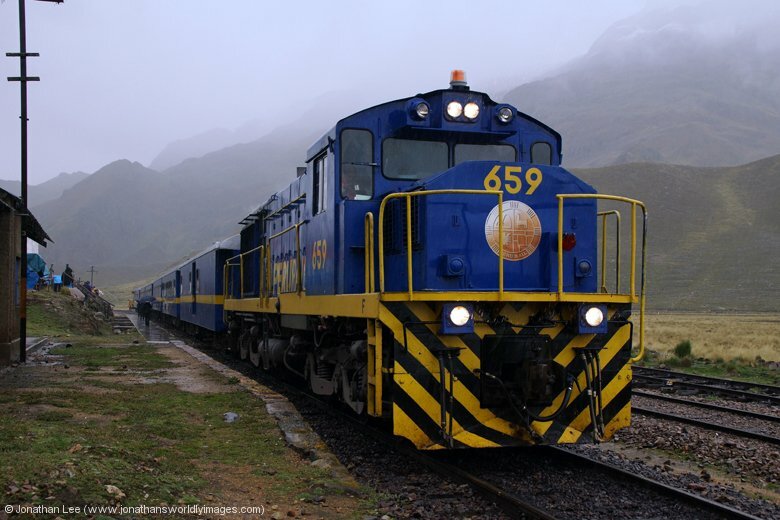 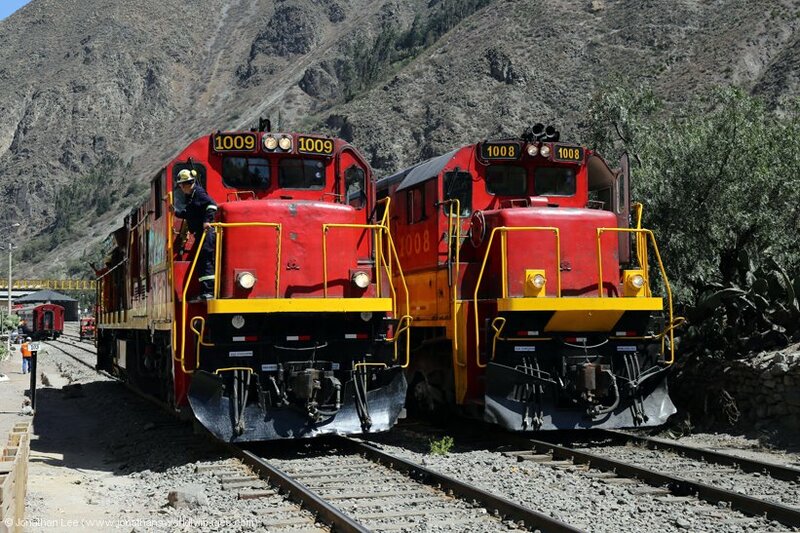 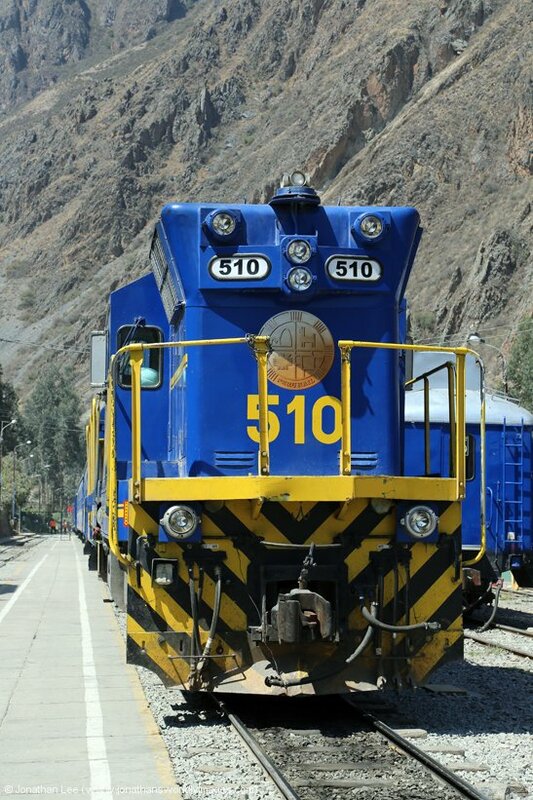 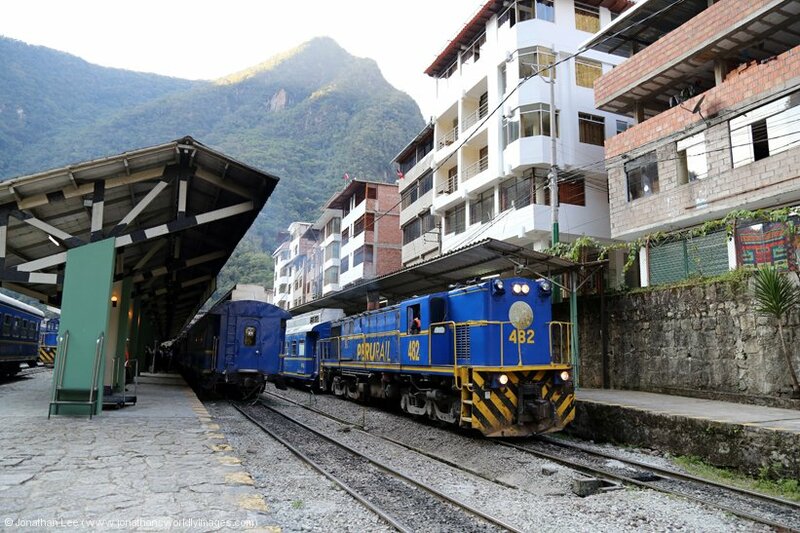 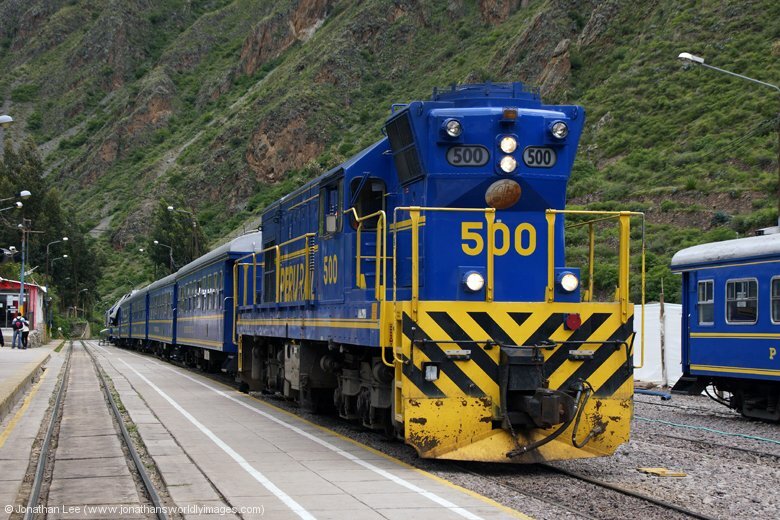 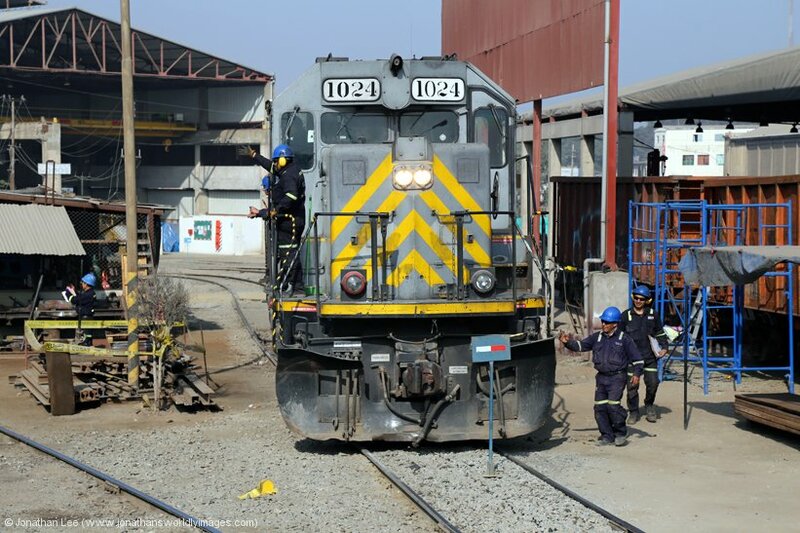 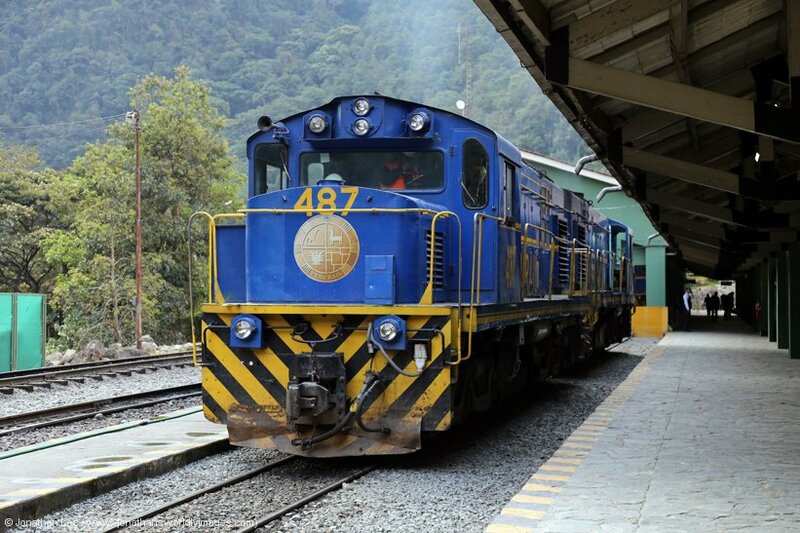 Peru Rail’s Machu Picchu trains are worked by a mixture of Alco/MLW but with three GM’s now in the mix since 2013 there’s no guarantee of having Alco’s on the trains. 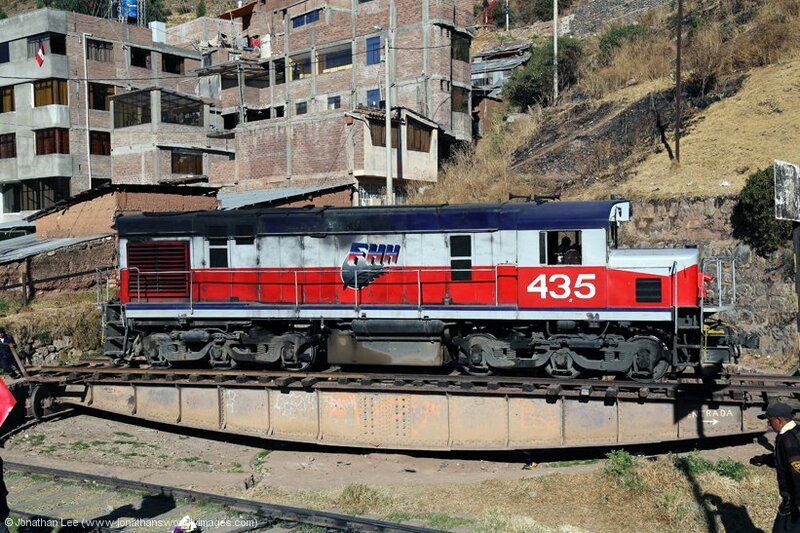 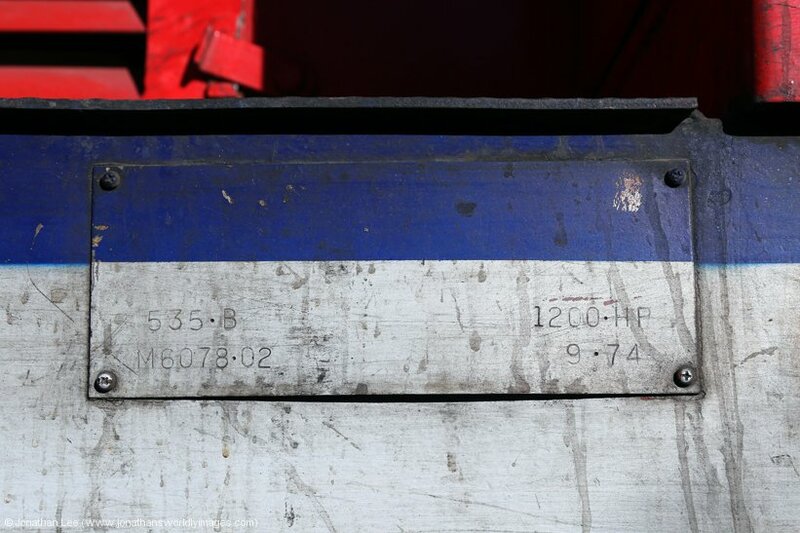 With Peru Rail having ordered four new Sygnet Locomotives in 2014 this could even spell the end for the Alco’s once they’re delivered? 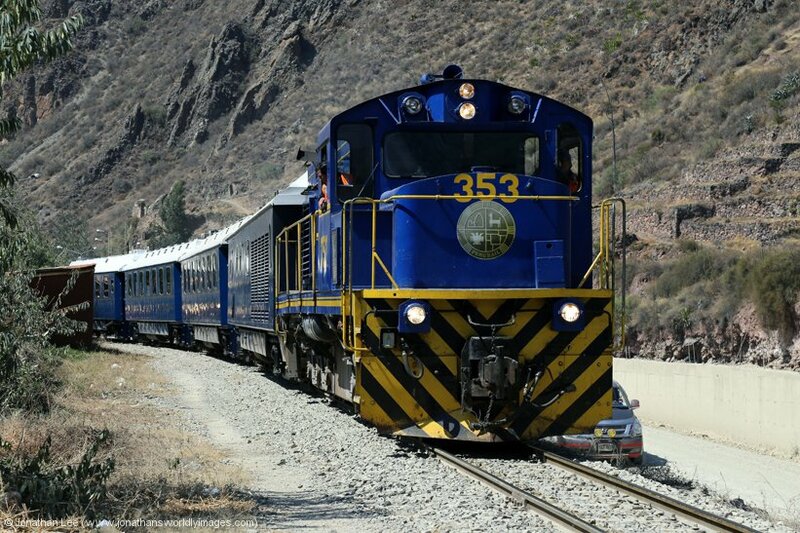 While by rule of thumb the Vistadome trains are DMU’s this is not the case for all the Vistadome trains now; the Urabamba service is solid DMU but ALL trains from Cusco Poroy are loco-hauled regardless of train type. 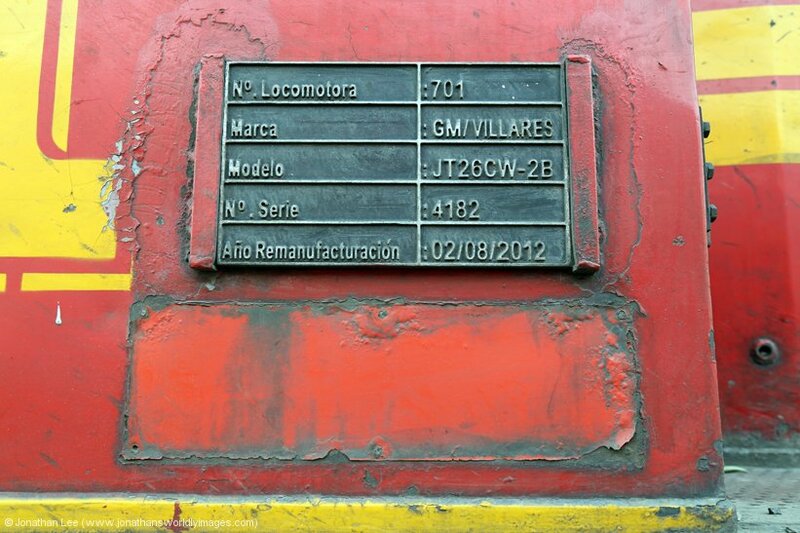 The Vistadome service to Hidorelectrica is also loco-hauled. 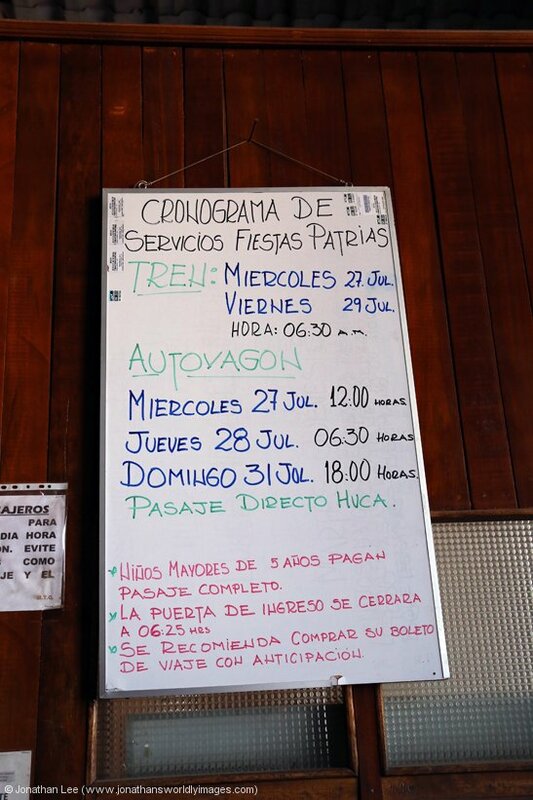 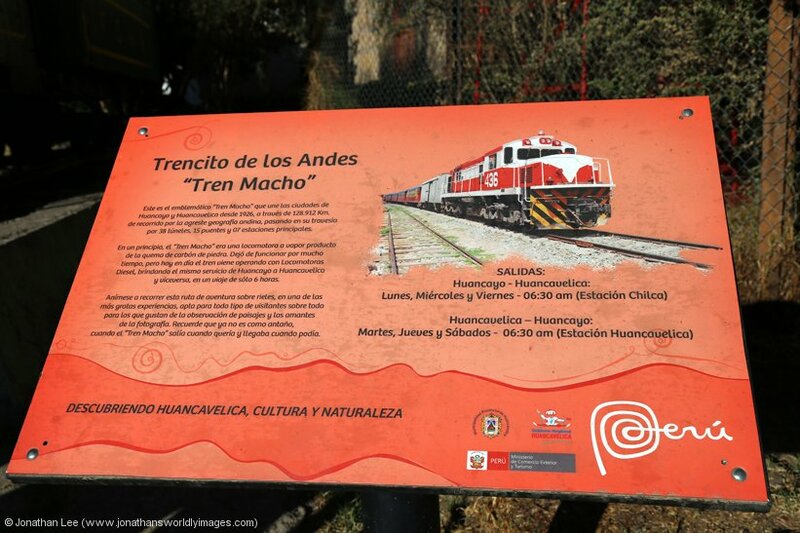 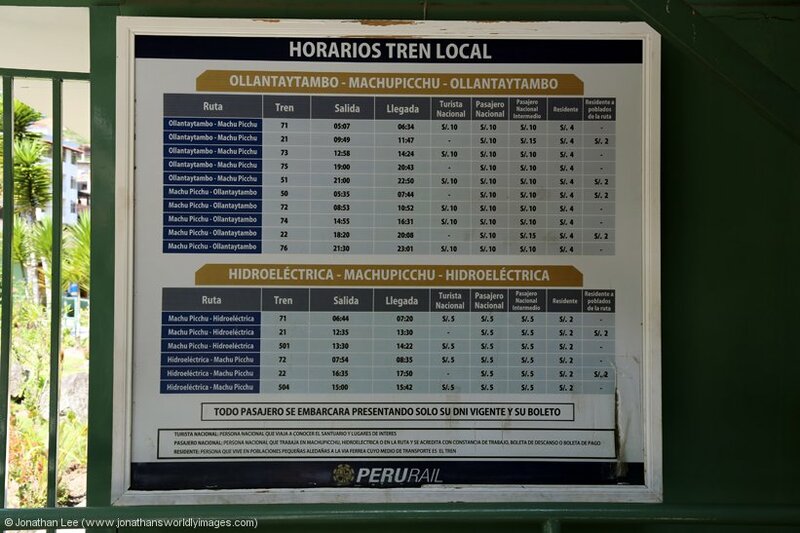 Hidroelectrica trains are now available to tourists again but they are not advertised on the Peru Rail Website for advance booking. 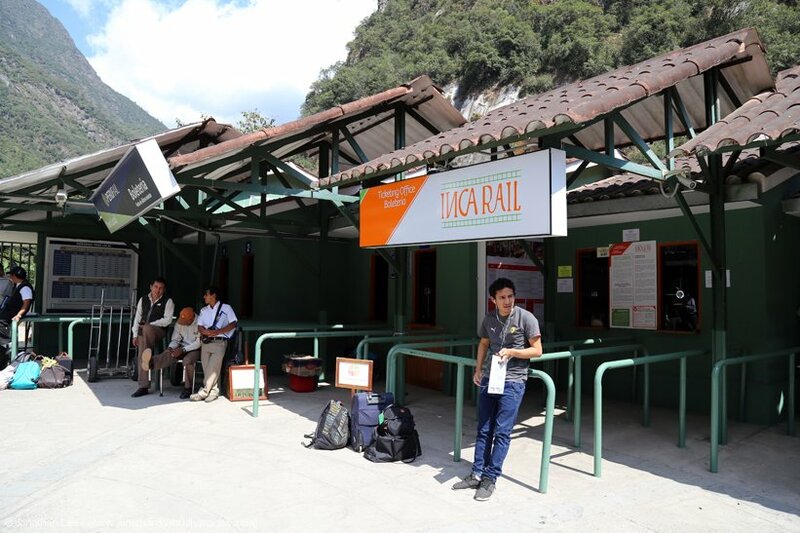 Tickets can be bought at all Peru Rail offices and leaflets are available with the train times on them. 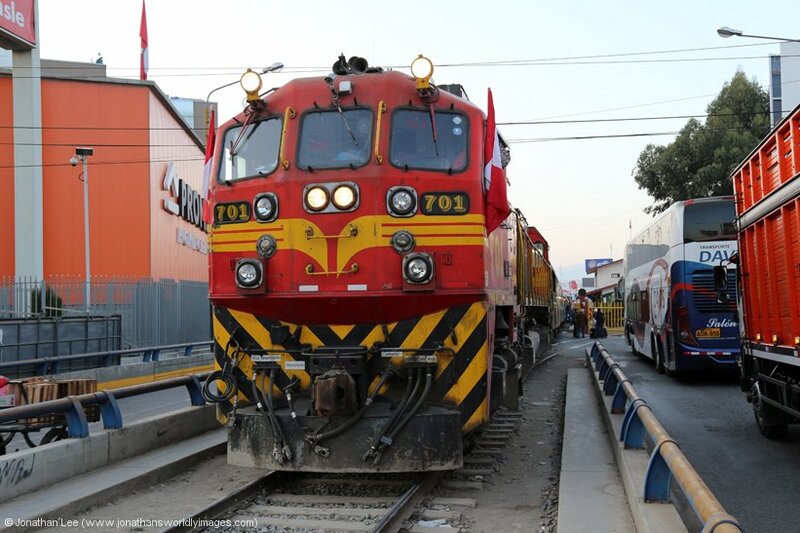 Peru Rail’s Andrean Explorer is generally MLW DL560 hauled with the loco working a freight in the opposite direction overnight after arrival at it’s destination.